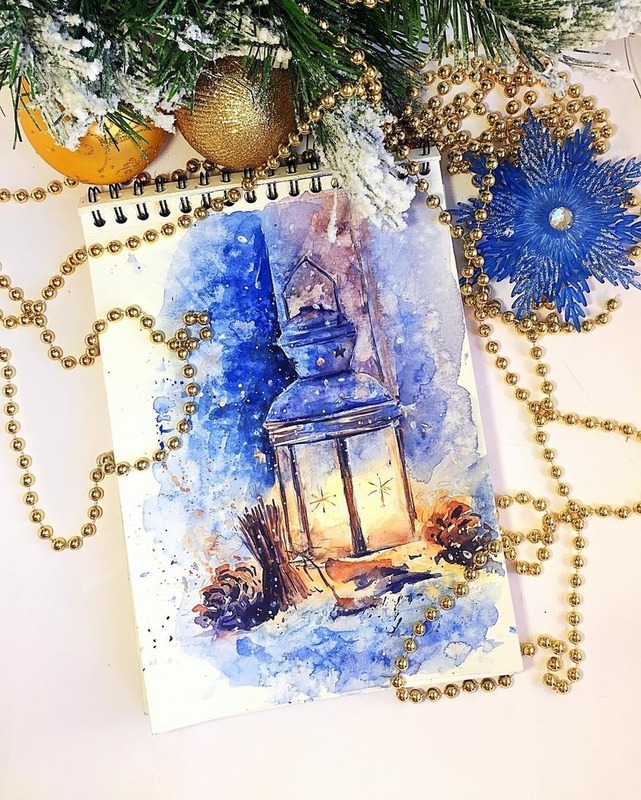 Alena Ponkratova is an interior design specialist, sketcher and watercolor artist. 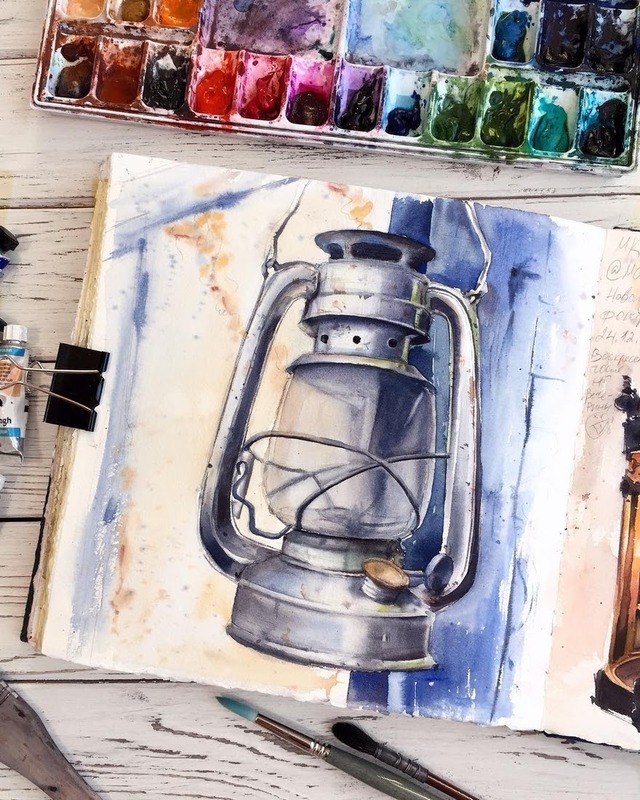 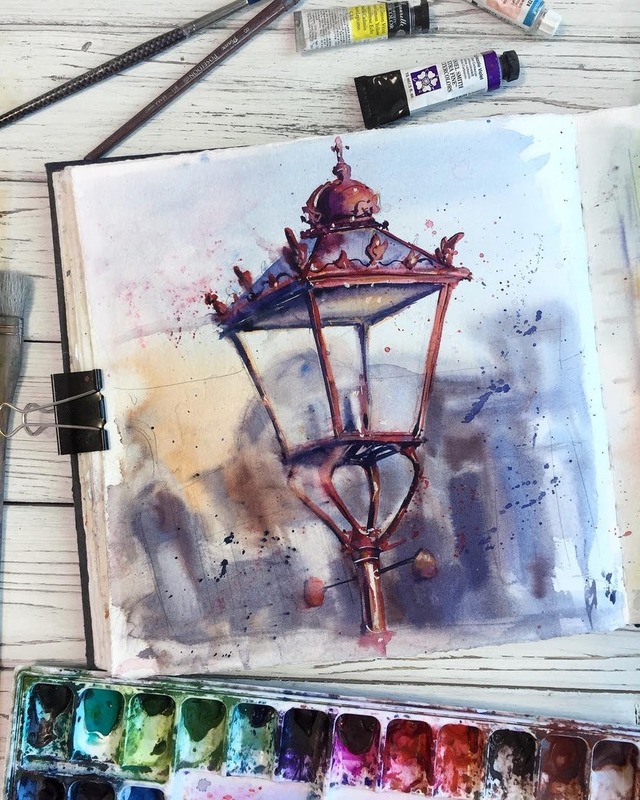 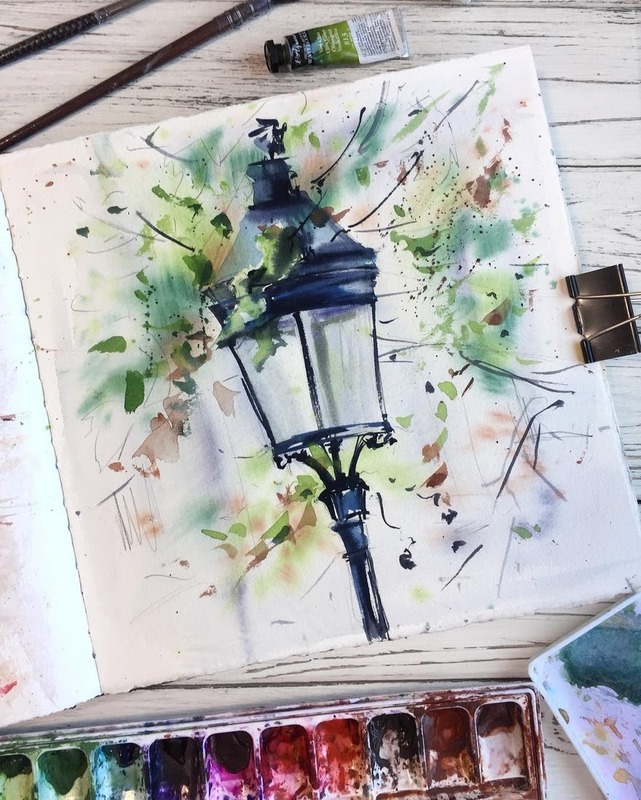 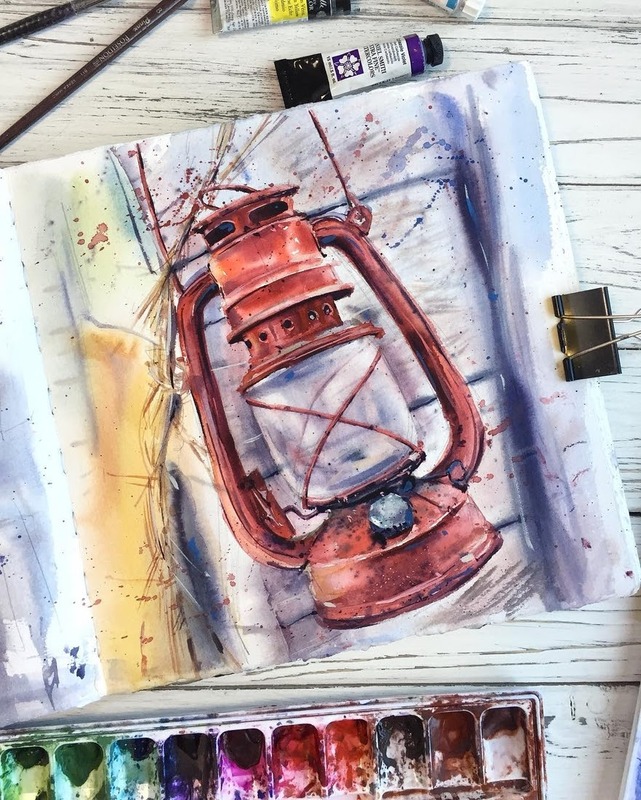 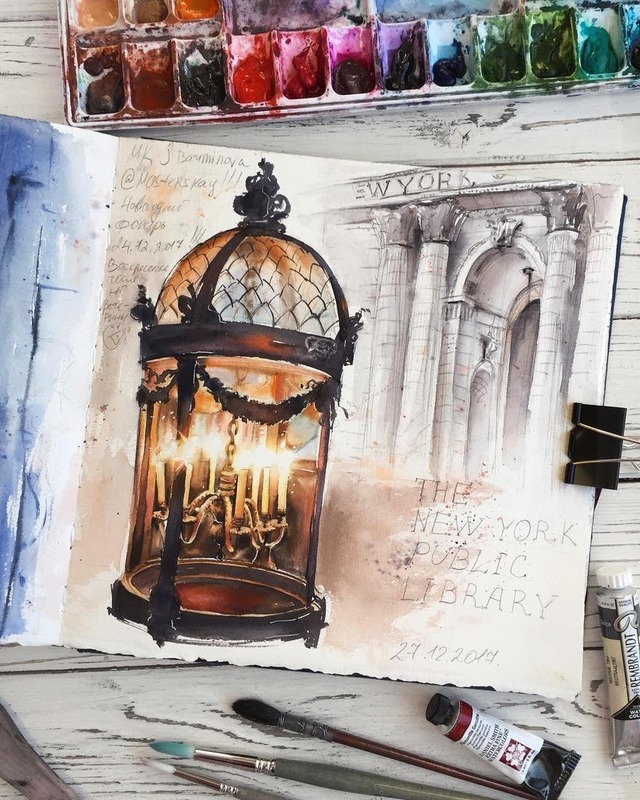 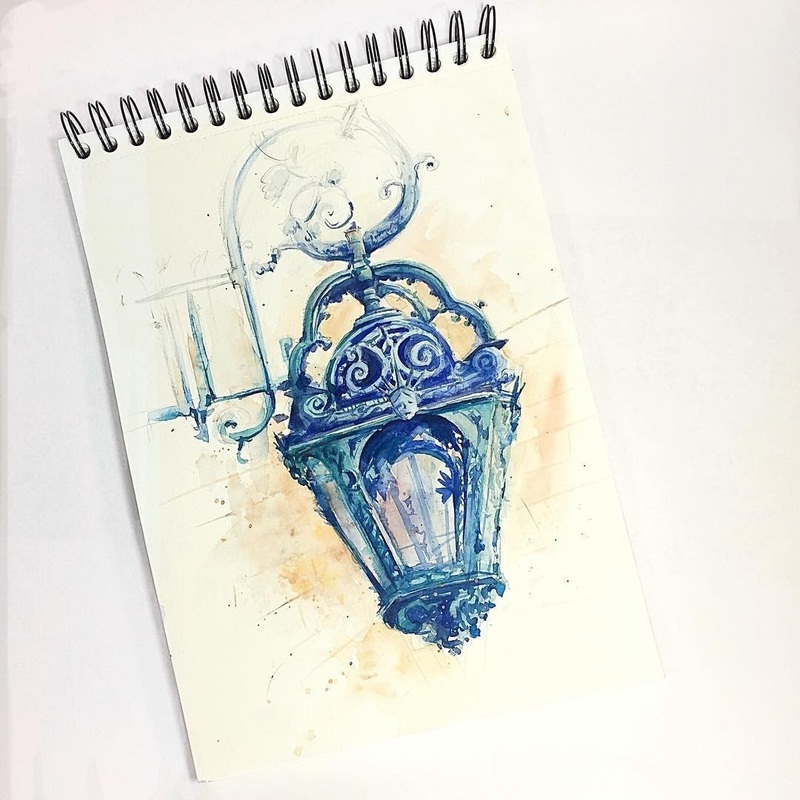 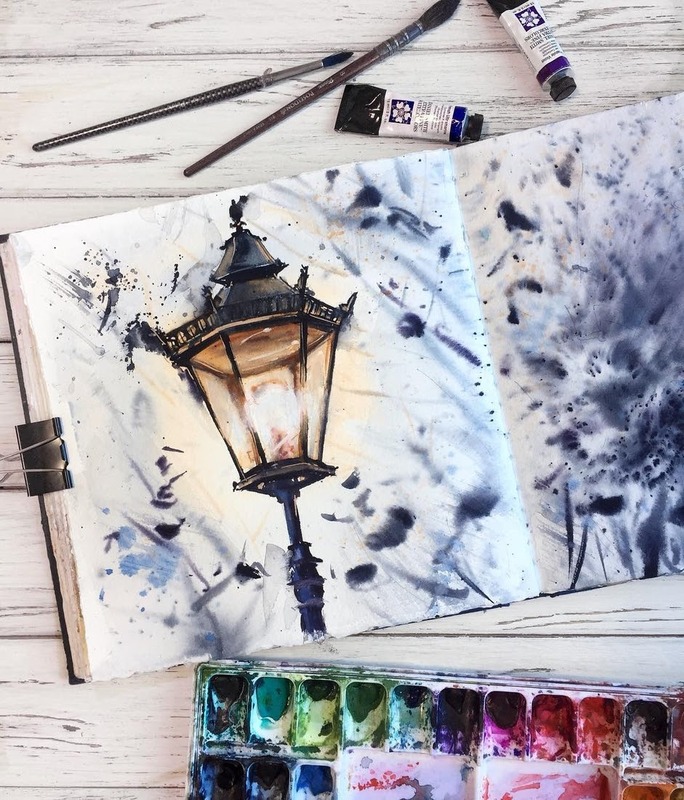 She has many different drawings and paintings on her social media site, but the ones that attracted my attention are her watercolor lamps. 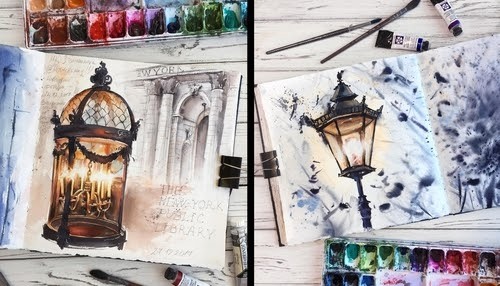 As you can see from the title, she features different types, old and new Street Lamps, Oil Lamps and Candle Light Lamps. 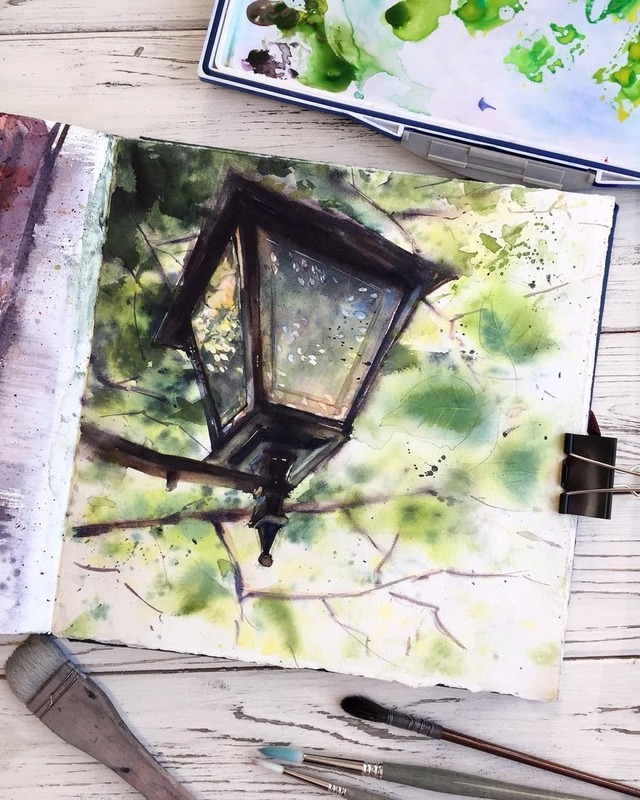 It's nice, every now and then, to zero-in and just look at one specific subject, to the exclusion of all others. 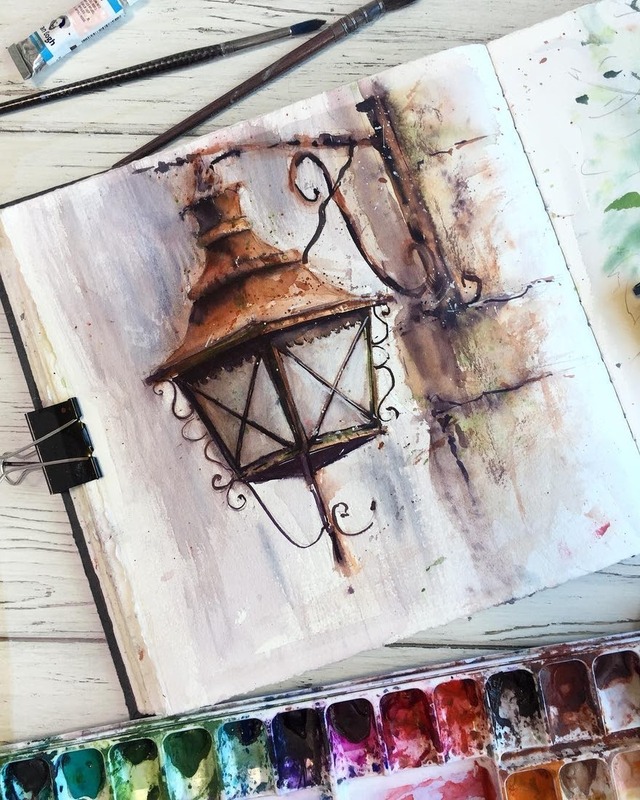 Lamps have been around with us, in one shape or another, for centuries, bridging the discovery of electricity and many other changes, so this is just a very small homage to them.